A guest blog post by Dr. Ravi Gopinath. 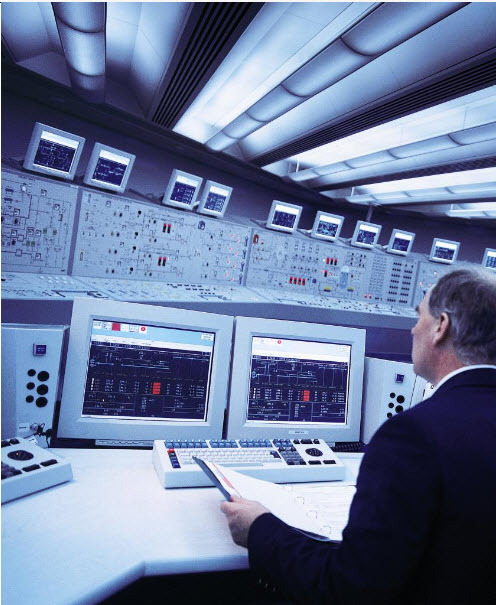 In my previous blog I spoke about the evolution of industrial operations and how advances in software for the purpose of industrial automation, information management and operations management is the key to meeting the needs of the modern enterprise. In this blog I will explore the future of industrial software and how businesses today can use software to leverage their plant operations to remain competitive in the marketplace. In that blog I noted that industrial software is applicable right from when a plant is built, through to commissioning and operation. Models that are used in the design of a plant can also be used when running it to optimize the process and allow owners and operators to take advantage of new business opportunities as they present themselves. But how does this actually happen on a day-to-day basis? The multitude of devices in a modern industrial plant creates enormous amounts of data that can be leveraged and used to make improvements in the day-to-day operations. There’s been a great deal of discussion on the Internet of things these days. For industrial operations, this has existed for many years. Real-time historian software can gather many process values and consolidate them into a long term storage which can be used for reporting, troubleshooting and analysis. Furthermore this information can be made available to office workers mobile employees, business, engineering and maintenance departments. Data can also be fed to business systems provide information needed for accounting and supply chain management. Two of the newest enhancements in industrial software include, firstly the ability to capture and encapsulate workflows to make the running of the operation much more systematic and productive. Secondly with the advent of cloud computing some industrial software functions that span geographical areas and involve the interaction of multiple parties can be placed in a secure and remote data center environment. This also leads to new business models such as software as a service to remove the need for large initial capital expenditures, allowing the purchase of software as an operating expense. The ability to integrate together the entire operation, quickly modify it to take advantage of new opportunities, and connecting people, processes and procedures sets Software Technology as a valuable asset for any industrial operation today. Some examples I can share with you include a major integrated oil company that applies optimization software and saves upwards of $500 million per year in operating costs. This is achieved through the ability to optimize and control energy costs and the ability to quickly identify new opportunities and dynamically change mixes of finished products that are produced at any one time. In addition, by applying manufacturing execution systems software a major food company can save 30% in their overall operating costs through better quality control, reduction in downtime and better correlation of raw material costs, energy and finished goods accounting. Today’s industrial software has evolved to help businesses unleash the power of data inside the plant to be able to unify islands of automation for the next generation of operations management systems. 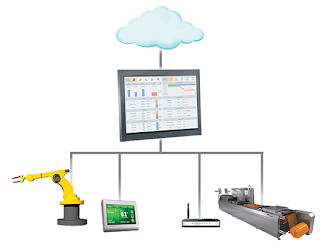 Together, Schneider Electric and Invensys are changing the game for industrial software. Our software brands, unified as a single HMI family, will provide operational improvements via enterprise wide visibility and standardization, which is a common way of viewing operational data for consistency of quality, processes, and KPIs. It is one “version of the truth” which overall provides better business agility and increased competitiveness. How will you leverage our enhanced software portfolio? Ravi Gopinath, Ph.D., is president, Software Business Unit of Schneider Electric Global Solutions, responsible for R&D; project management; regional sales; services, support and partnerships, including the company’s Ecosystem of Partners; and all functional support. He has more than 15 years of global engineering solutions and services experience, beginning his professional career with Tata Consultancy Services (TCS) in India in 1994. Gopinath received his Ph.D. in advanced process control from Rensselaer Polytechnic Institute.